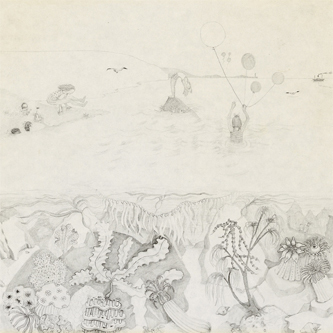 The first solo album released by Robert Wyatt after his time with Soft Machine, Rock Bottom met with great critical acclaim upon its release in 1974. The writing for the album began in Venice while Wyatt's soon-to-be wife Alfreda Benge was working as assistant editor on Nicolas Roeg's Don't Look Now (a suitably eerie and mystical point of reference for the album itself) although preparation of the material was only finished during Wyatt's stay in hospital following his spine-damaging fall from a five-storey window, only serving to make the finished product even more remarkable. Looking over the list of contributing musicians you'll notice Mike Oldfield, Ivor Cutler and Fred Frith all in attendance, and production was handled by Pink Floyd drummer Nick Mason. Between them these performers helped Wyatt shape a classic experimental rock album - one which still tends to be considered as his finest. Highly recommended.